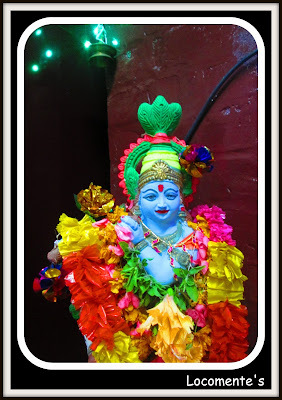 This year Janmaastami (Sree Krishna Jayanthi) was celebrated on 5th September, 2015. Like every year, I was excited. After all, this is one of my favorite festivals. And, like all other years, I made a kolam. 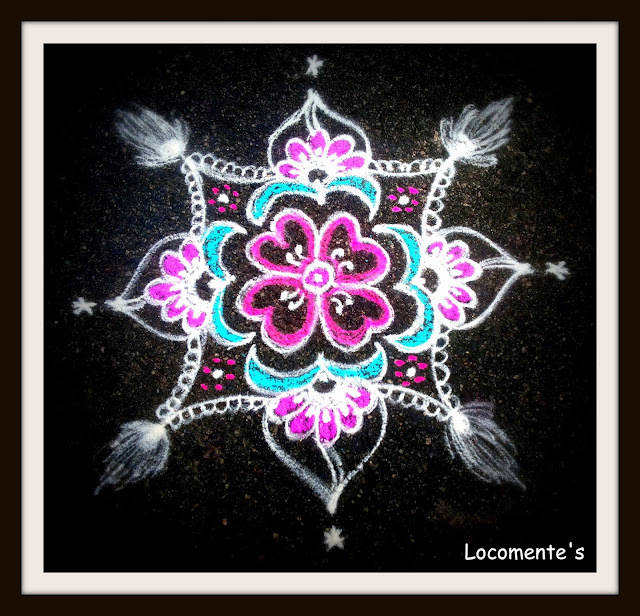 This year I decided to make a theme based kolam. I tried to make a kolam by drawing things that relates to Lord Krishna. So I made flowers (lotus flower) in pink, a leaf like shape and a few peacock feather-like objects. In the steps, I made flutes. I added a little bit of colors here and there. ... such beautiful work, L ... thank you for sharing your art and also the explanation ... smiles ... Love, cat. Happy Janmastmi Satya belated though. The essence of Krishna Janam and Kolam are some what similar. To remove the evil away and spread the meaning of love. Really it looks divine.I liked the colour blend too.May Lord Krishna bless you. Fabulous colorful kolam which reflects the true spirit of the festival. Interesting information. I was reading a book on producing kolams the other day at the art store.